Roughly same sized mice, the Rival 310 is an ergonomic mouse shape, the Air58 is an ambidextrous mouse. The Rival 310 has a slightly better shape in my opinion when factoring in the grips, it's a much more fluid mouse to control with despite it being slightly larger, it didn't feel that way. Sensors are a draw between these mice, both have a perfect sensor. Buttons are also fairly equal. 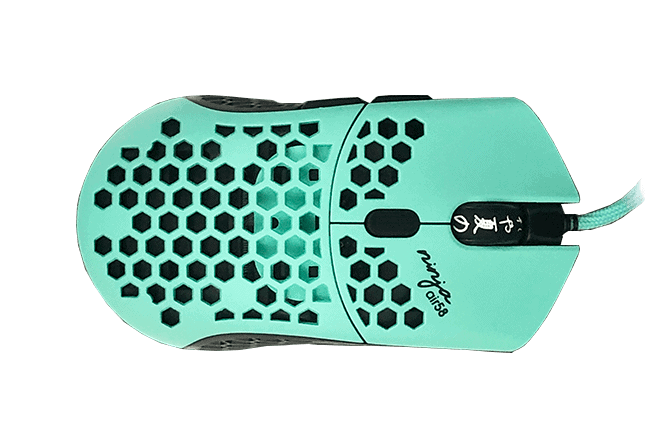 The Air58 has a better cable than the Rival 310, super light cloth versus the rubber. The 310 cable, however is still pretty good. 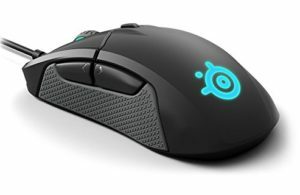 If you don't have a shape preference, I would pick the Rival 310, the Air58 is great but its price makes it not such a good value, especially when compared to the value the Rival 310 brings.